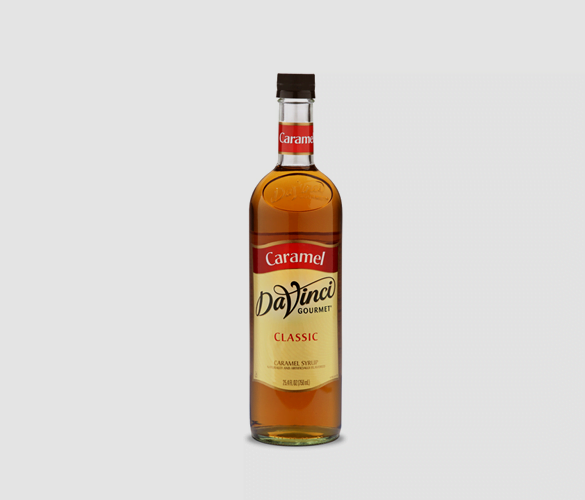 Experience the authentic sweet taste of caramel in this hugely popular syrup. This flavour is a classic and has subtle hints of butter, brown sugar and vanilla. These flavours work fantastically together and can be added to so many drinks, such as lattes, cappuccinos, americanos, tea and much more. Don’t just limit this product to beverages, try experimenting in desserts and other food recipes. The simple yet delicious taste of caramel compliments so many other flavours. Add to your favourite drinks and dishes to find some winning flavour combinations. This product will fit perfectly into your coffee routine. Whether your using it in a coffee shop or at home, this is a product that you can rely on. With the plastic user-friendly bottle, it is a much safer option than glass. Broken glass in a kitchen or busy coffee shop can create extremely dangerous environments. Add this syrup to your menu to bring in new visitors and excite existing customers. This syrup will breathe new life into any drinks menu. Can I Use Caramel Syrup in Milk? Rely on this product to combine seamlessly into any dairy product. The formula has been specially designed to resist curdling and mix smoothly and evenly into hot drinks. It has also been formulated to mix evenly into beverages. This sets it apart from other products on the market which struggle to give an even flavour, resulting in a weak taste when drinking and being left with all the syrup at the bottom of the mug. Caramel is a great flavour to sweeten up recipes as it is deliciously subtle and not too over powering. If you want to add something extra special rather than just a little sugar, drizzle this syrup onto desserts and hot beverages. Add into your cake mixture, pour over ice cream, add to your milkshakes, this product is so versatile as there are so many ways to use it! This recipe is such an easy way to enjoy a luxurious coffee shop standard beverage. Grab your favourite glass and mix together the espresso and syrup. To froth the milk, shake vigorously in a cup with a lid on and put in the microwave for a few seconds to stabilise the foam. Add the espresso, milk and a little ice into the blender and blend. Add the remaining ice into your glass. You can adjust the sweetness by adding more or less syrup. Pour the drink into the glass, top with whipped cream and enjoy!